My name is Daniel Condon. 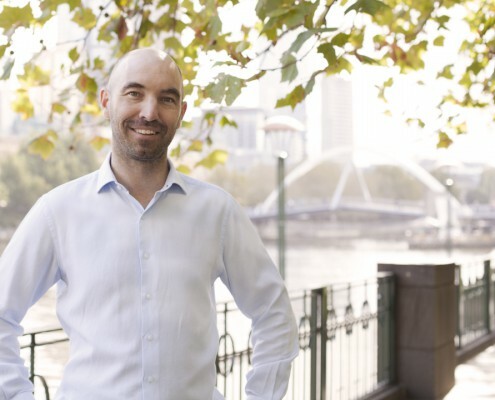 I am a clinical psychologist and the founder and director of Optimise Psychology, Melbourne. I have a Masters qualification in Clinical Psychology and postgraduate Business Management qualifications, with extensive experience in both fields. While general manager of a national healthcare business I studied postgrad Management at Monash University. In a subject called Personal and Managerial Effectiveness, students identified and assessed their strengths, values, and goals through a series of exercises and projects. This helped me realise that deep down I wanted to be a psychologist, that this was the perfect work for me. I swapped from management to psychology study and worked on this goal for several years. During my studies I did placements in drug and alcohol, adolescent, and adult clinics. During and after my studies I have worked in community mental health and in a psychiatric hospital, as well as private practice. I currently work with the hospital part-time. I feel very fortunate to be a psychologist and I love the work. My aim is to help people and organisations in Melbourne overcome problems and achieve. I know that real and sustained change and achievement are possible for people, and I demonstrate this constantly in my work. While I am always learning, I have an excellent understanding of what causes problems and how to manage and overcome these problems. I “get” what makes people tick, so I can help improve from illness, as well as excel from the average. I enjoy relating to people and creating a comfortable supportive space for people to work on themselves, the most challenging but most rewarding work anyone can do. Please feel free to contact Optimise Psychology to see if me and my practice are the right fit for you.